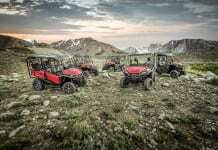 Today Honda announced the release of the 2014 Honda Pioneer 700-4, an all new four (4) person Side-by-Side. 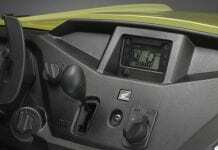 Honda is very excited to give everyone an early look at this incredible new machine. Released today to the press and public at the Chicago International Motorcycle Show – The all new Pioneer incorporates industry-leading innovations such as a versatile, adjustable seating configuration that can accommodate two, three or four people. 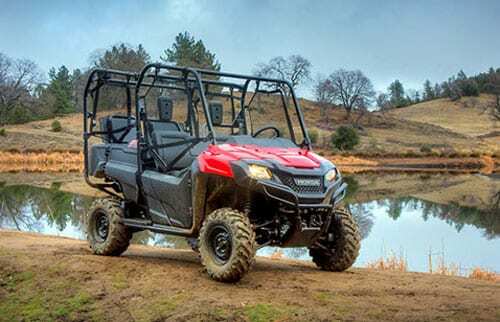 The all-new rugged and aggressive styling will clearly distinguish the Pioneer from the current Big Red Side-by-Side., which will be discontinued after the 2013 model year. 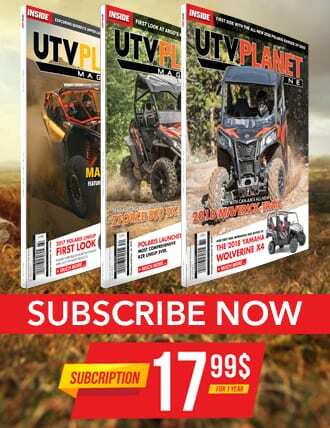 The Pioneer’s four-seat innovation seats four in a package that’s sized like a two-seater — Now you don’t have to choose between a two- person or four-person Side-by-Side: The Pioneer boasts an innovative convertible design that allows the two rear seats to fold independently into the bed. 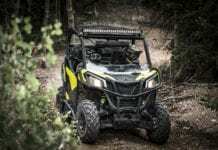 Owners can adapt the Pioneer to fit their lifestyle needs, two- seat, three-seat or four-seat configurations. Both rear seats fold quickly and easily without the need for tools, and once folded away the Pioneer’s tilt bed space can be fully utilized. And unlike conventional four-seat Side- by-Side vehicles, the Pioneer is sized like a two-seater so it’s highly manoeuvrable and uses less garage space. 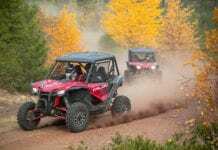 Powered by Honda’s proven 700cc-class liquid-cooled OHV single- cylinder four-stroke engine featuring an automotive-style automatic transmission with hydraulic torque converter, three forward gears and reverse. 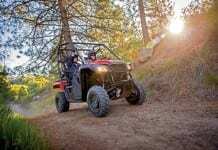 The long-travel suspension and high-performance handling, helps give the Pioneer the load capacity to carry up to a 454 kg (1,000 lbs) or tow up to 680 kg (1,500 lbs). A full line of accessories will also be available when the Pioneer arrives. Stay tuned for more information coming soon to honda.ca on this model, as well as additional new product announcements.